Yesterday, I shared some not-so-friendly thoughts about the yet-to-be-announced Moto X4. My approach there was two-fold, really: 1) The Moto X line has always been about customization, not shiny glass coating with limited choices; and 2) It seems unnecessary for Motorola to have 15 different phone lines available at the same time. I still stand by both of those arguments. Those thoughts were kickstarted from a leak that showed the all-black version of the phone passing through an overseas regulatory body. The phone looked nice with its sleek, all-black self, even in a dark setting. Today, though, we’ve got what may be an actual press render of the phone and I must admit, it looks really clean. 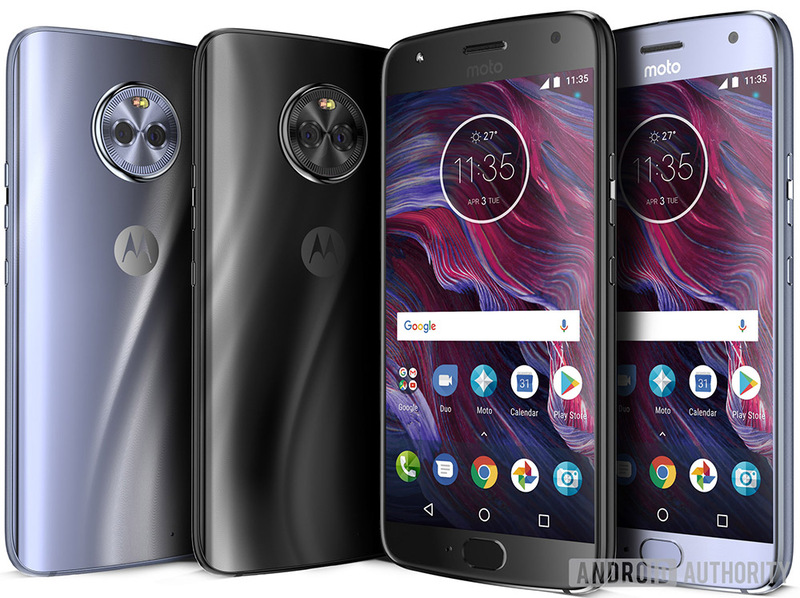 The image (see above) shows the Moto X4 in Super Black and Sterling Blue, but more than that, it shows a refinement in design from previous Motorola releases this year. Sure, the top and bottom bezels are still very much on the thicker side when compared to some others. However, that display is now running edge-to-edge, plus we’ve got some really nice curves going from back to front that should let this phone sit oh-so-nicely in hand. Couple that level of design with the 5.2-inch display we expect to slide in there and you could be looking at one of the better-sized phones of 2017. Today’s leak from Android Authority also includes additional word on specs. We’re looking at a 5.2-inch FHD (1080p) display, Snapdragon 630 processor (Adreno 508 GPU), 16MP front camera, dual rear camera setup (12MP primary camera + 8MP wide-angle shooter), 3000mAh battery, fingerprint reader, and 3GB RAM with 32GB storage here in the US. Overseas, the RAM and storage should jump up to 4GB and 64GB, respectively. This should also be one of Motorola’s first ever IP68 water and dust resistant phones. Few leaks have any idea when this phone will arrive, but an earlier report suggested a Q4 arrival. We’re only mid-Q3 at this point, so it could be a bit before you’ll even be able to consider this phone. In the mean time, we should see the Essential Phone, Galaxy Note 8, and LG V30 arrive with the Pixel 2 line just behind them. Motorola might want to hurry unless this phone isn’t supposed to compete with any of those and will instead fall somewhere around the $400 range. And finally, as hot as this phone is, it still shouldn’t be an X member in my opinion. Also, enough with the 18 phone release in a year, Moto. This is just silly.